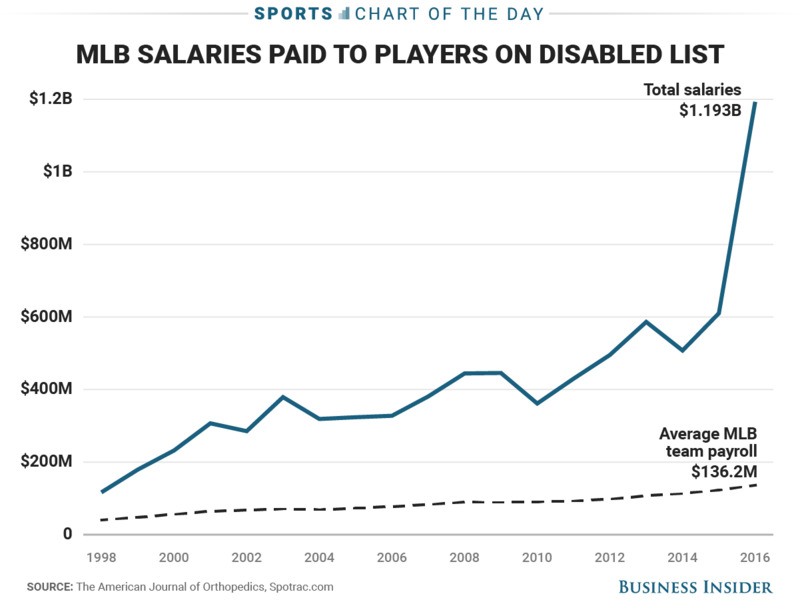 As the salaries of professional athletes skyrocket, it is logical that their teams would want to protect those assets as much as possible. But exactly how much some teams are spending is mind-boggling. 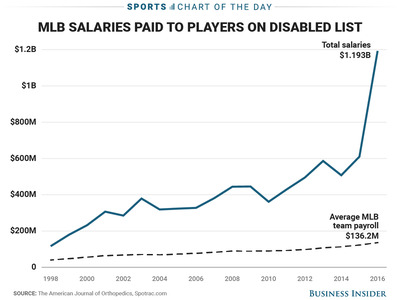 During the 2016 MLB season, teams paid players $US1.2 billion while they were on the disabled list, according to data collected by Spotrac. Here is how that total has risen in recent years according to Spotrac and The American Journal of Orthopedics.